Ever thought of visiting your childhood home? Here’s a story about people who are actually buying theirs back. For the rest of us, here’s how to use Google and Google Earth to revisit your childhood home and relive some memories–without spending a dime. 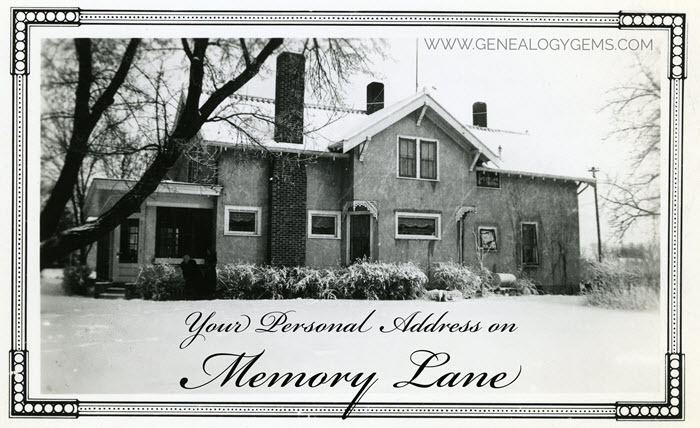 Your childhood home–or perhaps another beloved family home–is your own personal address on Memory Lane. Who wouldn’t love to stroll up to its doors and recapture some memories? The image above is of my husband’s great grandfather’s home in Winthrop, Minnesota. It’s a home that I have many photos of, have researched, and have come to feel personally connected to although I’ve never seen it in person. It’s one of many ancestral homes that I yearn to visit one day. So as you can imagine, I really enjoyed this report from The Wall Street Journal about a few lucky folks who are living the dream of not only visiting, but owning and restoring, their childhood home. Even if you’re not interested in buying back an old family home, many of us are curious about the houses we used to love. Are those houses still there? What do they look like now? What else can we learn about them? Let’s explore three ideas to help you stroll down memory lane. Then, I’ll share a discovery from a Genealogy Gems Premium podcast listener who recently dropped me a line. Johnstown, PA city directory listing, 1889, digitized on Ancestry.com. For U.S. addresses from 1880-1940, look to U.S. census records, which include street names and house numbers. In the example below from the 1930 census, you can see “Cedar Street” written vertically by the red arrow, and the house number written for each household entry, as shown in blue. From the 1930 US census, Ancestry.com. If you can’t find an address on an old record, but you think you could navigate yourself there on a map, it’s time to go to Google Earth and fly yourself there! Google Earth is your on-ramp to your own personal Memory Lane. Go to the site, enter an address, and watch yourself “fly” to that address. If you don’t know an exact address but you know where to look, enter a street name or even a city. Then zoom in to the neighborhood and street section of interest. Activate Street View, if it’s available. Not sure how to do that? 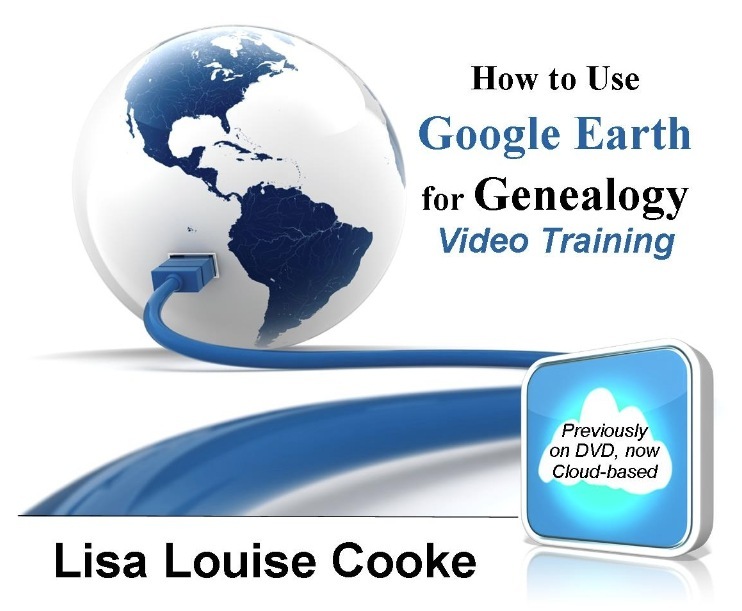 Watch my free Google Earth for Genealogy Video Class to get started. Once you’ve found the location, take a close look. Is the house still there? What does it look like now? How has the landscape changed? The neighborhood? a) Sale listings. If your house has been on the market in recent years, you may be able to find a listing with great details, and even pictures of the inside today. Top Google search results from specific addresses often bring up real estate websites with varying degrees of information, such as square footage, current estimated value, year built, most recent sale date and price, and more. Weed through these entries to see whether Zillow or another similar site shows a current or past listing for sale or rent. 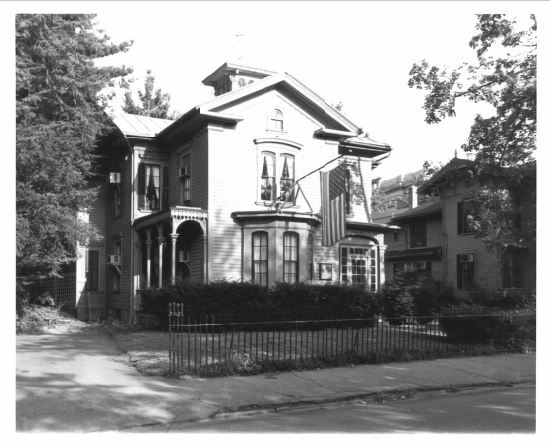 These may contain more details and may even have interior and exterior pictures of the house as it is now. Watch closely—Google may bring up houses nearby, not the one you’re looking for. But even a neighborhood listing for a house built on a similar floor plan may jog your memories of the home and may give you a sense of what the area is like now. “I love listening to the podcasts while driving to and from work, often sharing my own thoughts with you. This happened yesterday while listening to the latest Premium Podcast episode on family homes. I decided that I had to write and share what I managed to find! 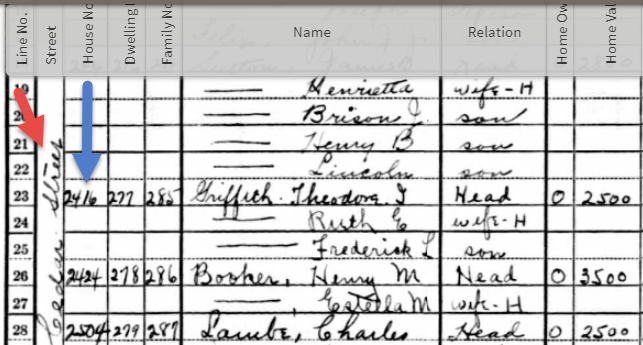 Since I have deep family roots in Connecticut back to 1650s, I managed to find a few family homes, but I started searching with the more recent generations and addresses that I knew. 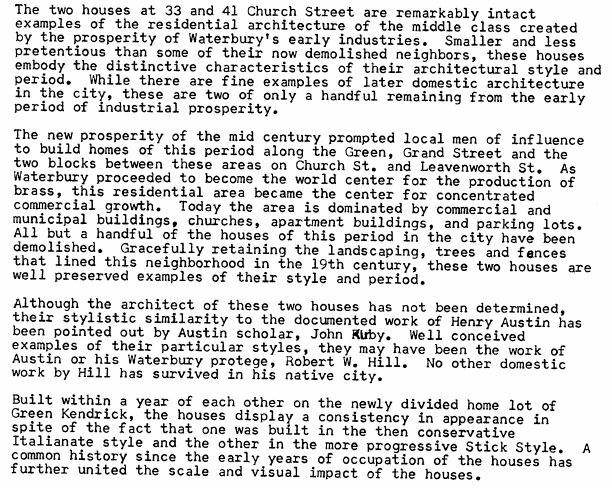 The two homes where my great-grandparents (Inez Hart and John Milton Burrall) and my great-grand aunts (Mary and Lucy Burrall) lived were written up in an application for the National Register of Historic Places! Thanks for sending these in, Heather! And for sending along copies of the applications she found. The multi-page applications (more than 10 pages each!) include historical background on the buildings and former owners, as well as photos and site maps. Above is a photo–and below is an excerpt–from these applications. 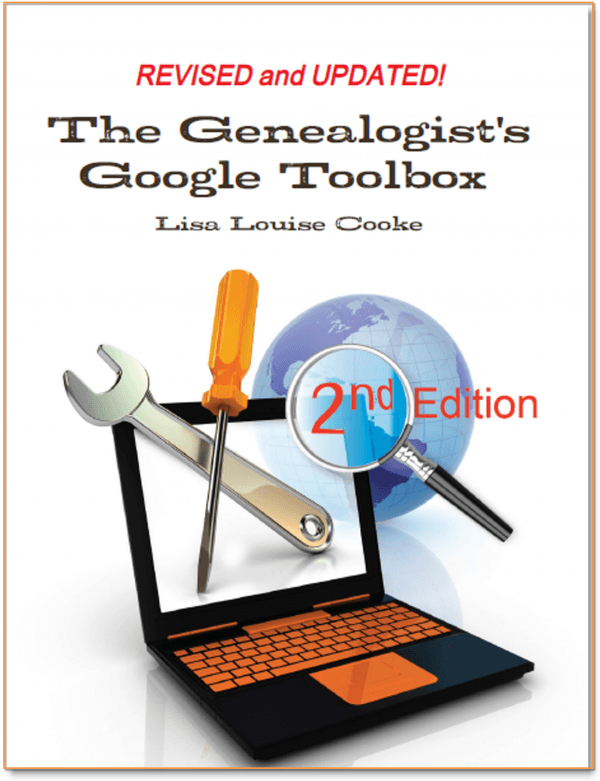 When you’re ready for a full-fledged Google education, take a look at my top-selling book, The Genealogist’s Google Toolbox, and my companion video tutorial series, Google Earth for Genealogy. Disclosure: This post contains affiliate links and Genealogy Gems will be compensated if you make a purchase (at no additional cost to you) after clicking on these links. Thank you for supporting Genealogy Gems! HI Diane, how wonderful! I was fortunate to have the same experience as well in the Gettysburg area where we stayed in a B&B originally an ancestor’s home during the war. An emotional experience indeed. This post touched my heart. Our homes and the happy memories of living in them always remain with us. In my case, doubly so, because I’ve been living in my parents home since 1987! It was a home that my little girlfriends lived in, then we moved in when I was 13, in 1959. But we always lived just three houses away on the same street. Three years ago, my oldest daughter bought what had been my grandmother’s home since 1921, as proven by old tax papers found in the attic when she moved in. As a child, we had lived next door to my grandmother, in the other half of what was then a double home. Our lives have been truly enriched by the closeness we share because of the homes we have. An enviable scenario, complete with tax papers in the attic. Thank you so much for sharing JoAnne! Thanks for your questions Beatrice. Check out our recent blog post at https://lisalouisecooke.com/2018/04/09/nyc-street-views/ It’s all about finding old photos of locations in the past in New York. There are several terrific resources listed there that can help you out. And of course, don’t forget searching the address on eBay.com (a wonderful source of old postcards) and even if you don’t find something, click “Save Search” and eBay will continue to search for you and send you any results it finds in the future.